Our walk begins in Florence and follows the scenes from some famous films along the Italian Riviera and the Cote d'Azur. "A Room with a View" was filmed at Pensione Bencista in Fiesole where our tour begins. From here we travel to the Ligurian Coast. The hills and mountains in the backdrop make it a spectacular setting. 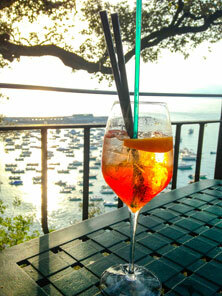 Sestri Levante, formerly a fishing village, is both beautiful and full of life with stunning sea views on the two bays. The town makes a perfect base for discovering the wonders of Liguria and is not too far away from the well-known sites like the Cinque Terre and Portofino. Our walks will take us to the most picturesque and quaint towns and villages along the Ligurian coast. 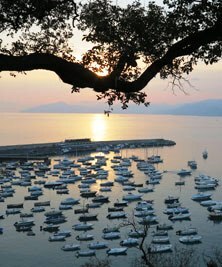 The stretch of coast belonging to Imperia Province is also known as the Riviera dei Fiori, the Flower Riviera, characterized by bays, ports and coves. At a short distance from the coast, behind the hills are valleys and pristine woods with many great walking tracks. Time to cross the border into France and our adventure continues at the Cộte d'Azur, known for its dramatic mountains, sparkling blue Mediterranean waters and a craggy coastline. On a coastal walking track we discover the famed St-Jean Cap Ferrat peninsular with luxurious villas, including the spectacular Villa Ephrussi. We explore the hilltop villages of Vence and St Agnès and stroll the streets of beautiful Menton. Time permitting, we also visit Monaco. "And God Created Woman", with Brigitte Bardot, "Bonjour Tristesse" and La Piscine, starring Alain Delon, Romy Schneider, Maurice Ronet and Jane Birkin and "Two for the Road" with Albert Finney and Audrey Hepburn were all films set at the Côte d'Azur. Our final destination is St Tropez, one of the world's most famous "villages". Once a totally unknown fishing community, St Tropez started its days of fame when it attracted prestigious painters in the first part of the 20th century. It later gained international attention when stars of the movie industry (Brigitte Bardot, to name only the "sparkiest") made St Tropez their trendy place of vacation and even sometimes their home. On our walk we explore a fairly steep stretch of the coastline before moving more inland across some very pretty vineyards. In the evening we have time to wander around the port and explore the narrow alleys of the historic part, nearby. We stay in "the best of both worlds" - the charming coastal towns of Sestri Levante, Villefranche and St Tropez as well as the charming hotel in Borgomare in the hills behind Imperia at the Ligurian Coast. Liguria boasts some of the best food in Italy - including pesto Genovese, minestrone and focaccia. Because Liguria is on the coast, seafood and fish are a big part of the diet. 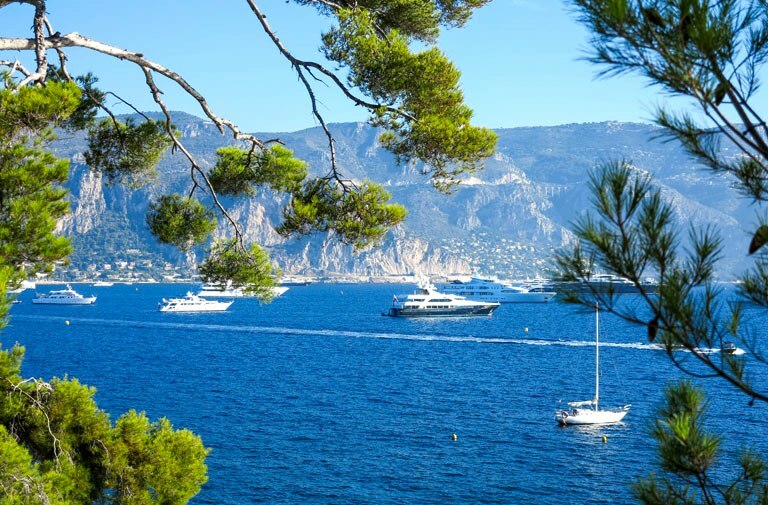 Provence-Cote d'Azur has a rich blue Mediterranean coastline and delicious sunshine food like tapenade, omelette aux truffes, Ratatouille, Aioli, Tarte Tropezienne or Fromage de Chevre."